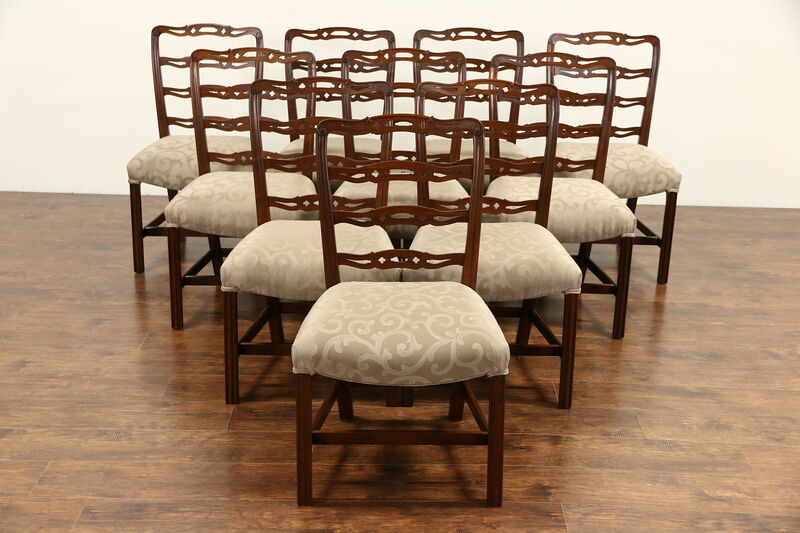 A set of 10 traditional dining chairs were carved of solid mahogany about 1950. Completely restored to serve another generation, frames are reglued to be strong and durable. The renewed deep finish is in excellent condition and soft large seats are newly upholstered. American made vintage furniture, the maker's signature is lost. Size is 22" wide, 23" deep, 38" tall and seats are 20" high and 18" deep. Related items in photos are sold separately.